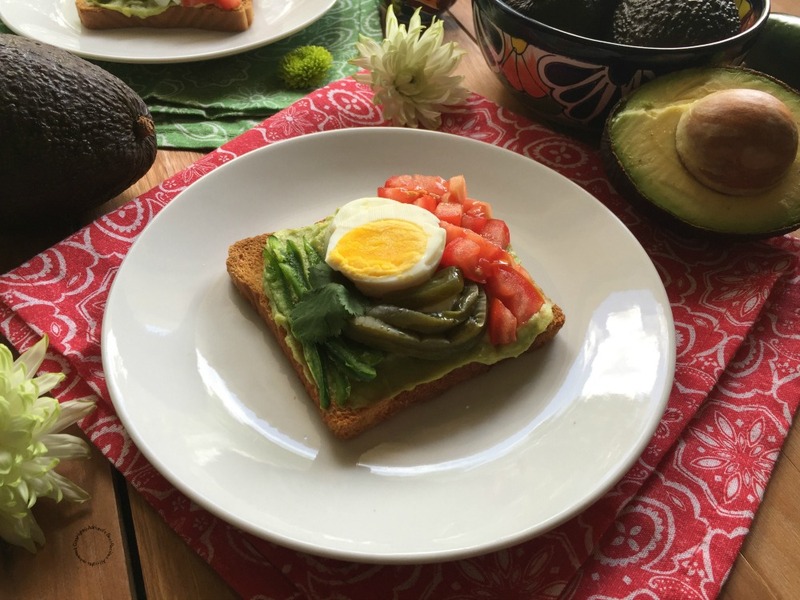 A Mexican Avocado Toast to celebrate Hispanic heritage is the perfect bite to start the day with a yummy breakfast or to enjoy for a quick lunch or after working out. This special toast is made with Avocados From Mexico, always delicious, always fresh. Bimbo® Bread, a hard-boiled egg cut in slices, one chopped red tomato, julienned jalapeño , cooked cactus nopalitos and Tabasco® Green Jalapeño Sauce. 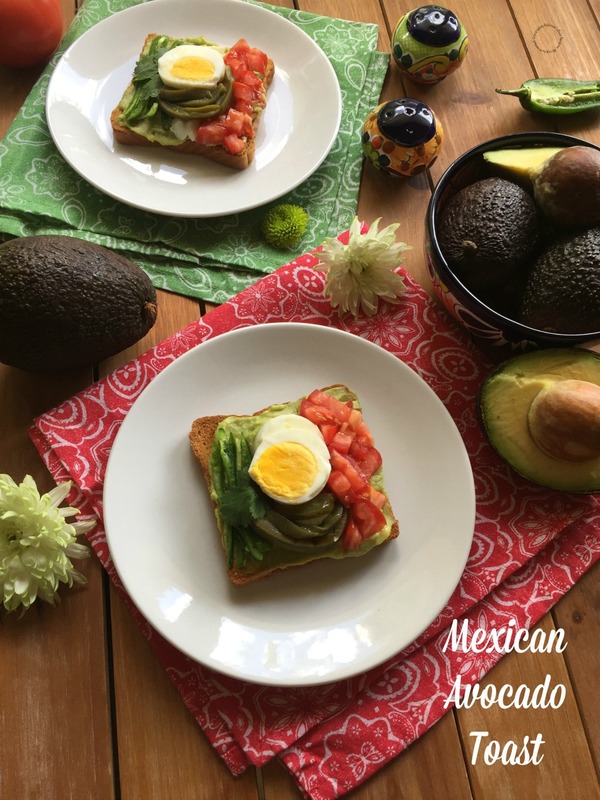 This Mexican Avocado Toast is inspired by the tasty avocado toast trend but merging Mexican culture and its authentic flavors with the representation of my country’s flag. For me, it is important to recognize Hispanic Heritage month as it is the perfect timing to educate my family about my Mexican culture and traditions. And there is no better way than to do it with delicious food. Watch the video and learn how easy it is to make this Mexican-inspired avocado toast! The Mexican Avocado Toast is made with Avocados From Mexico, always delicious, always fresh. Bimbo® Bread, a hard-boiled egg cut in slices, one chopped red tomato, jalapeño juliennes, cooked cactus nopalitos and Green Tabasco® Sauce. Cut the ripe avocado from Avocados from Mexico in halves and scoop the flesh of one into a plate. Mash using a fork. Add Tabasco® Green Jalapeño Sauce for a dash of spice. Toast the Bimbo® Bread slices and spread equal amounts of the avocado mash to each. Start forming the Mexican flag colors by adding the jalapeño juliennes, then the hard-boiled egg whites and finally the chopped tomato. For the symbol add in the middle a slice of hard-boiled egg, garnish with cactus nopal strips and finish with a cilantro leaf. Repeat the same process for the second toast and enjoy with your favorite family member or friend. This Mexican Avocado Toast is a good idea for entertaining at home too. 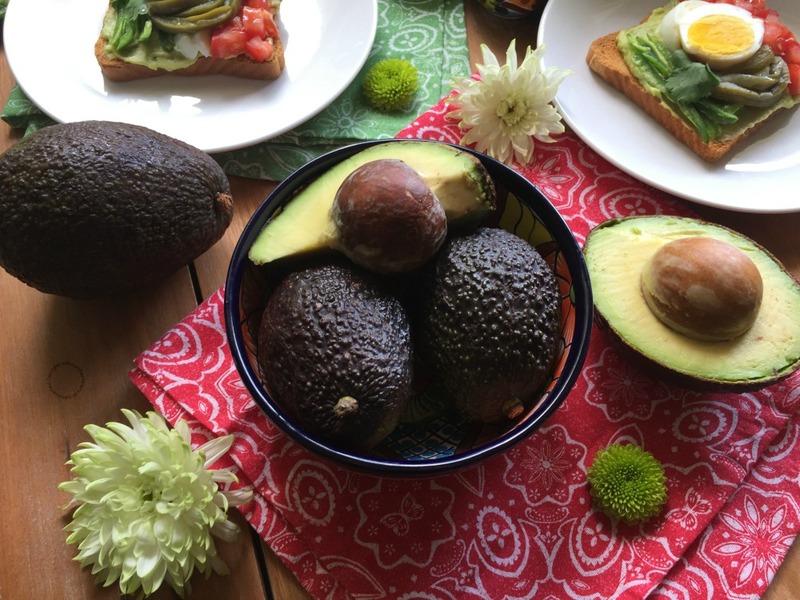 You can place all ingredients in the table and let your family put together their own toast for a fun-filled dining experience with Avocados From Mexico: always fresh, always delicious and always in season! 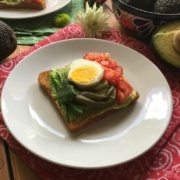 Creating easy recipes like this Mexican Avocado Toast allows the opportunity to step outside of the box and make something creative. In this case the Mexican flag, a patriotic symbol that is very important for us Mexicans. The Mexican flag has three colors: Green, represented by the avocado mash and the jalapeño. 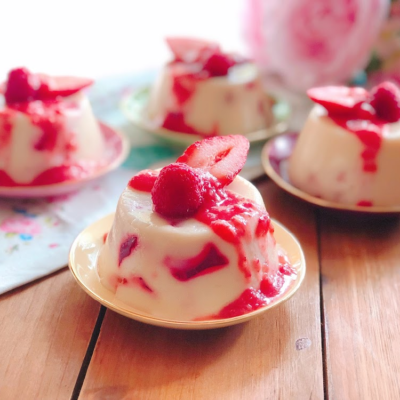 White, made with slices of cooked egg whites. And red, using chopped red tomatoes. And the symbol is an eagle eating a snake and perched on top of a cactus plant. This is represented by the hard-boiled egg and the nopalitos. The flavors on this avocado toast go really well together. And then adding avocado combined with Tabasco® Green Jalapeño Sauce makes for a bright and delicious bite. 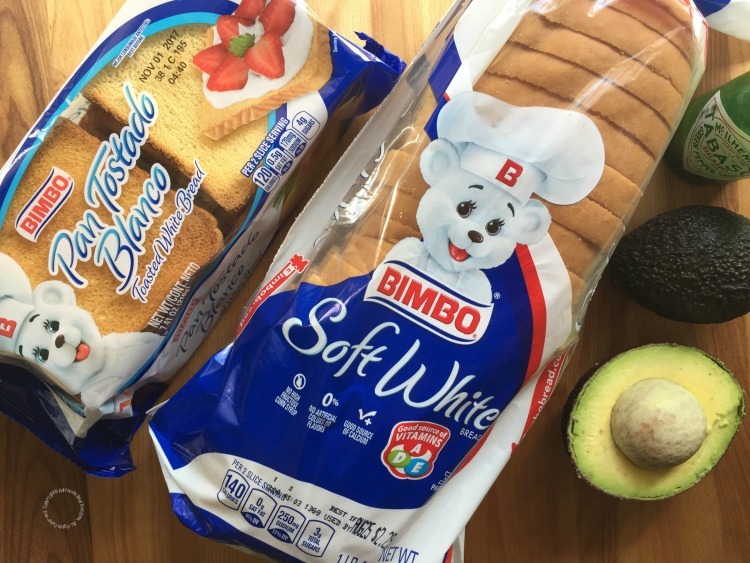 For the toast, Bimbo® Bread is a must. I grew up with this brand and it provides the authentic flavor of my favorite Mexican classics. There is no doubt that Avocados From Mexico are delicious and so versatile. Always there to help us celebrate our culture and traditions. Sign up to VidaAguacate.com to keep up with Avocados From Mexico and also click here to get inspired by delicious recipes made with Latin American flavors. I am such a lover of avocado and all things Mexican. 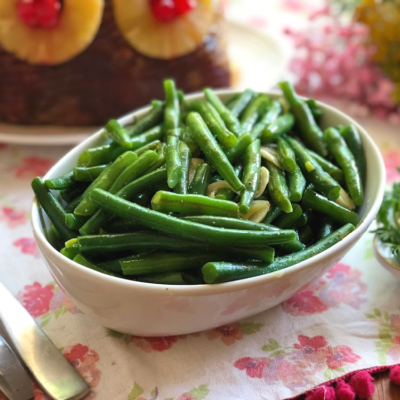 This recipe looks so delicious and filling and would be a great breakfast. that looks really good though I would leave of the jalapeno peppers because I am a wuss. Going to have to try this with son. I would totally try this! I love avocado, though I am not usually a fan of it on toast. The spice combo makes it seem like something I would enjoy! 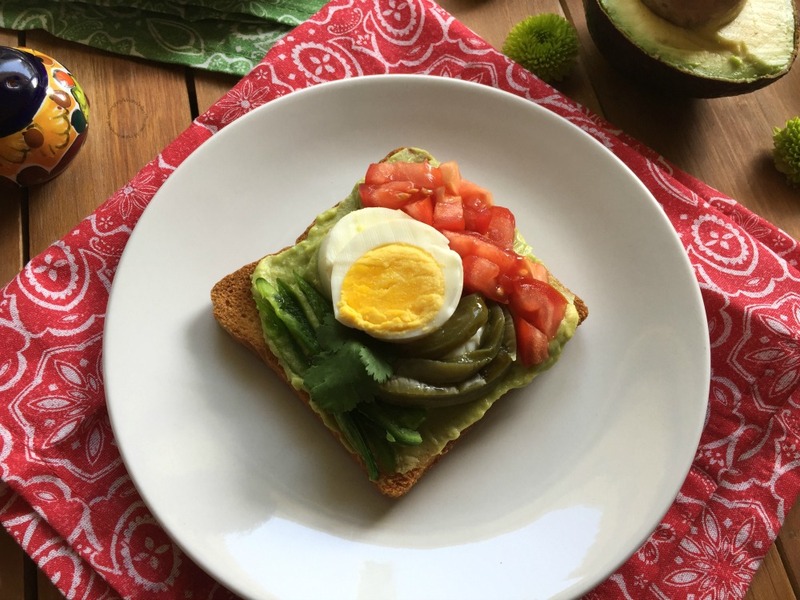 Avocado toast is one of my favorite go-to breakfasts! I love the addition of cactus and jalapeños! This looks so good! Hold the jalapeno and I’m sold! Stocking up on avocados next time we go shopping now!! 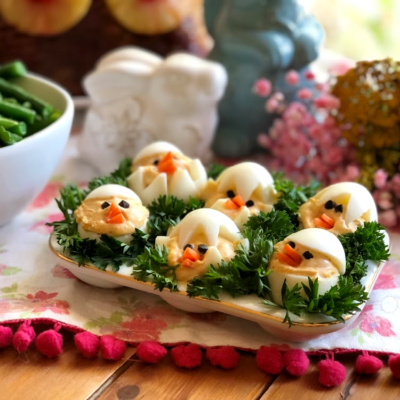 This looks delicious — never thought to add the egg. Looks great! 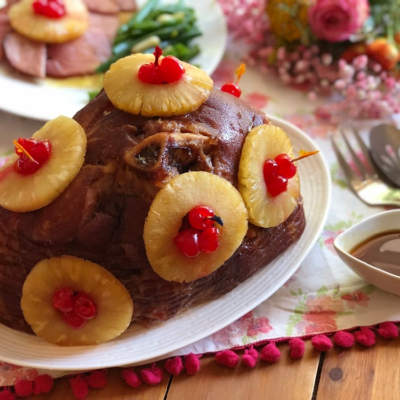 This looks really delicious with the pictures you posted here. and its really simple with all these health benefits. 🙂 Thanks for sharing! Any meal with avocado in it is a winner. This particular Mexican avocado toast I am sure will not disappoint. This looks so delicious. Not only do you have all of the different flavors there, but the colorful blend and textures that go along with the toast look amazing. Will have to try this out. I’m more of a sweet toast eater, than savory. Although I know many savory toast eaters, and avocado lovers that would love this. I love Bimbo breads…it’s the softest. 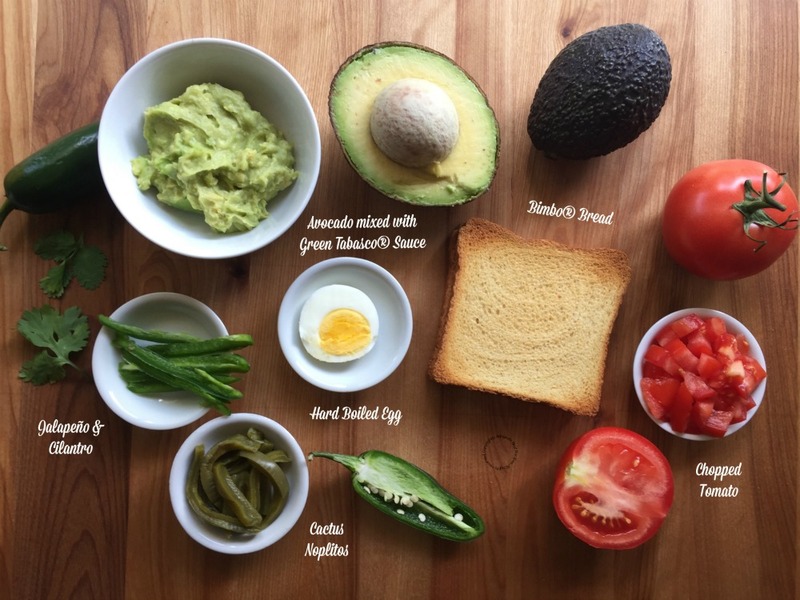 Avocado toast has quickly become a morning favorite of mine…this looks wonderful! Loving the flavors and spice! Love avocado toast, especially for lunch! Such a quick and easy meal. And love the Mexican twist, looks delicious! Such a delicious way to educate folks about the Mexican flag! This would be perfect for a school or work heritage day snack. I love avocado toast. This is such a fun twist on it for hispanic heritage month. This looks delicious and very unique! My son is part Mexican and I feel like we need to explore more of the culture (and definitely the food)! We often have avocado toast for dinner with a side salad. My kids love avocado!! I’m so happy that they are now coming back in season here. What a fabulous twist on basic avocado toast! 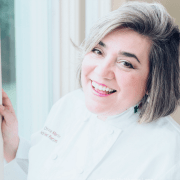 I love, love, love Mexican flavors and try to use them and keep them authentic since both my daughters are part hispanic and I want that background and culture to be a part of our family tradition since our family was built through adoption. 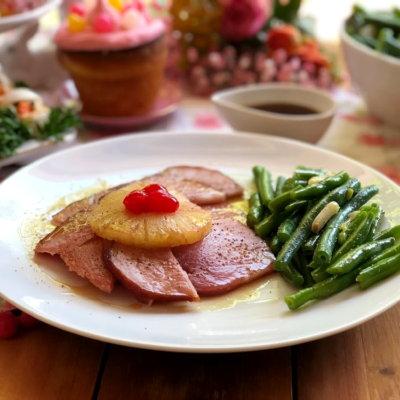 What better way than through food and flavors to celebrate their heritage? !